Research by African universities looking at the top laptop and desktops for use in developing countries has shown that Asus' Eee PC netbook wins out hands down over the One Laptop per Child's XO laptop. PC reuse charity Computer Aid International has published the results of the extensive study into the best low power PCs for use in developing countries, which proves through quantitative and qualitative tests that the Asus Eee wins out over the many other low-cost netbooks out there right now. 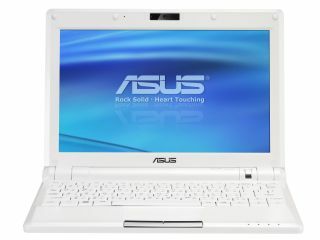 The top five PCs best-equipped for use in developing countries, according to the study, were (in order of merit) the Asus Eee, Intel Classmate; OLPC XO laptop; Inveneo Computing Station and Ncomputing X300. "The Asus Eee PC was the solution preferred unanimously by all the testing teams, offering the ideal compromise between power consumption, performance and portability," reads Computer Aid's press release. "The Ncomputing X300 was also highlighted for its suitability for computer labs, in some settings." Unfortunately, the OLPC XO "consistently ranked top for low power consumption, but was the slowest of all the systems in the performance tests." Let's hope the latest version of the XO, recently announced, will fare a little better. Otherwise the project is going to be in considerable trouble over the coming year. "Many communities in Africa have no reliable access to mains electricity and are forced to rely on expensive alternatives like solar panels or diesel generators, so we set out to find a low power, low cost solution that will facilitate the availability and use of information technology in those regions," said Tony Roberts, Founder of Computer Aid International. "ICT can play a vital role in economic growth and education provision in the developing world, but it's vital that we offer equipment that can meet the unique requirements of these countries. By working with ZDNet's technical labs and three leading African Universities we have been able to accurately assess the performance and suitability of a number of low power computing options in the countries where they are required, to better inform future choices in ICT for education and development." The report was based on extensive testing of all the above-mentioned machines at Kenyatta University, Kenya; Jos University, Nigeria; and the National University of Science and Technology, Zimbabwe.